The night was so calm – being moored up in Wolf bay, so I slept well. 6.30am breakfast and back into a damp cold wetsuit. It was drizzling rain and dull. 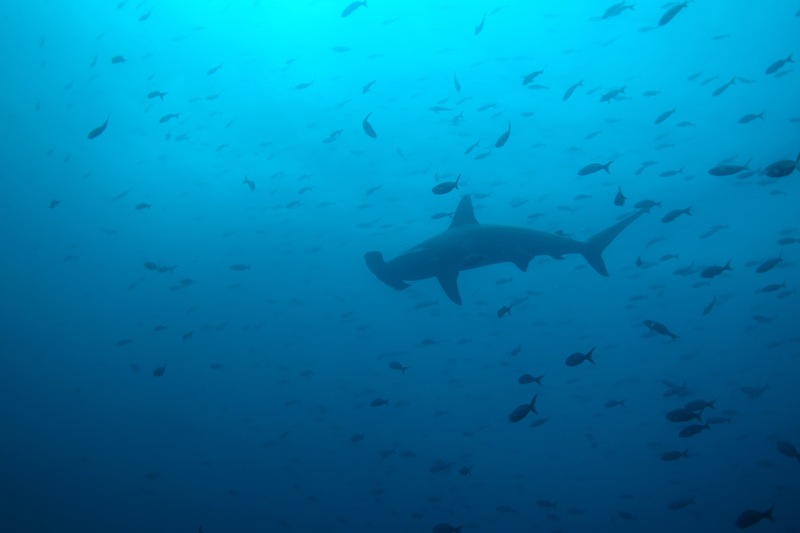 No one was particularly motivated to go back out into the choppy cold waters. The first dive this morning was back at ‘Landslide’, where two days ago I was throwing up. But today, the water was very calm. That was unexpected by everyone. We dropped into zero current (also unexpected). Made our way down to 27m and waited. 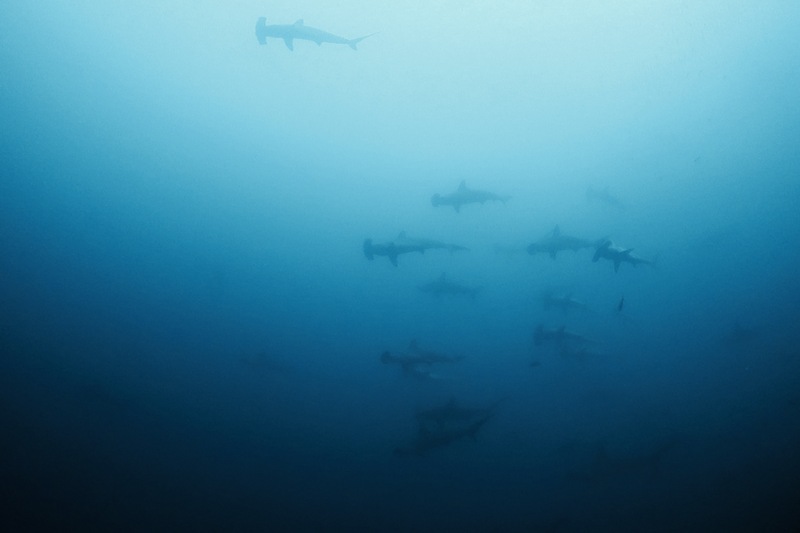 Hammerheads. At first just a few shadows in the distance. Several individuals coming closer. And lots. A whole school. We were there for half an hour. Just watching. It just kept getting better and better, closer and closer. Until on the right hand side, suddenly a whole wall was coming towards us. 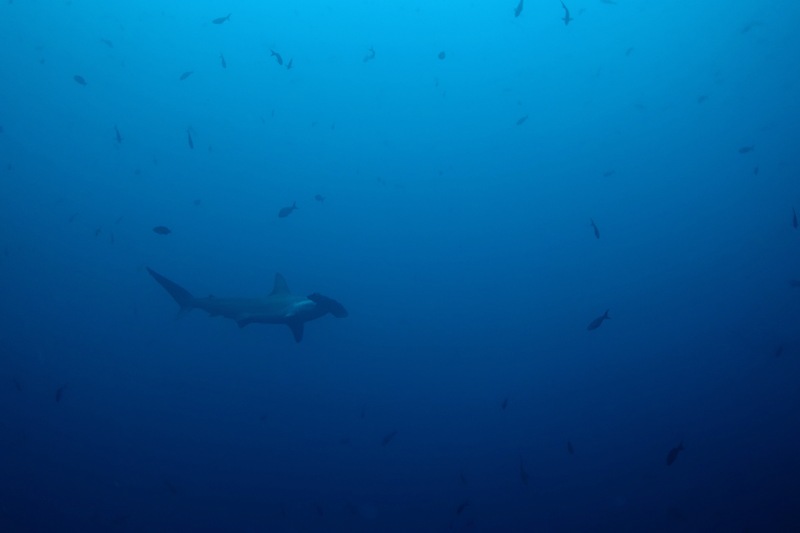 And there is was – the whole ocean in front of us was full of hammerheads. 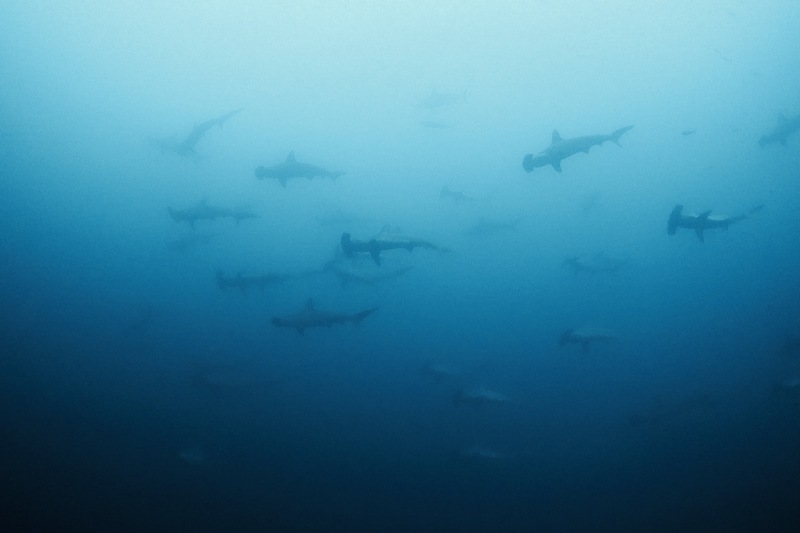 A hammerhead wall. It was incredible. There were so many. It only lasted for about a minute. 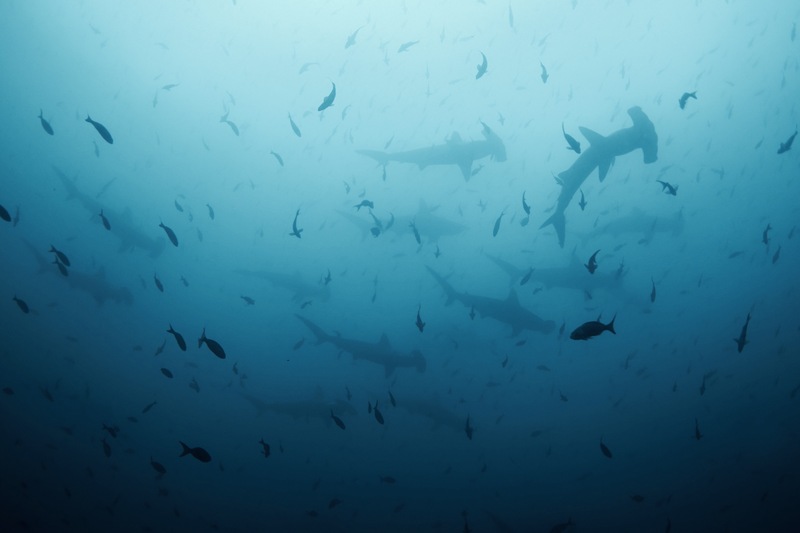 Galapagos sharks were darting around and then disorganised hammerheads in all directions. 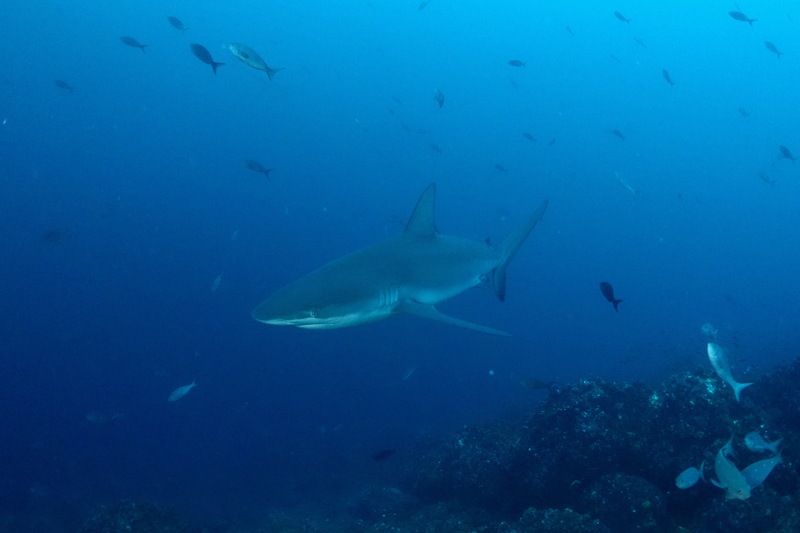 We couldn’t stay deep much longer, so started to shallow. 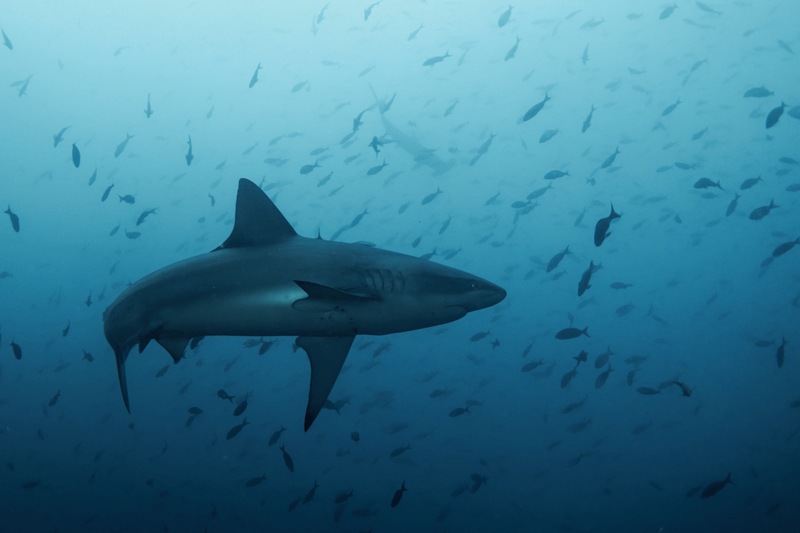 Still in the middle of a shark soup. They were everywhere you looked. 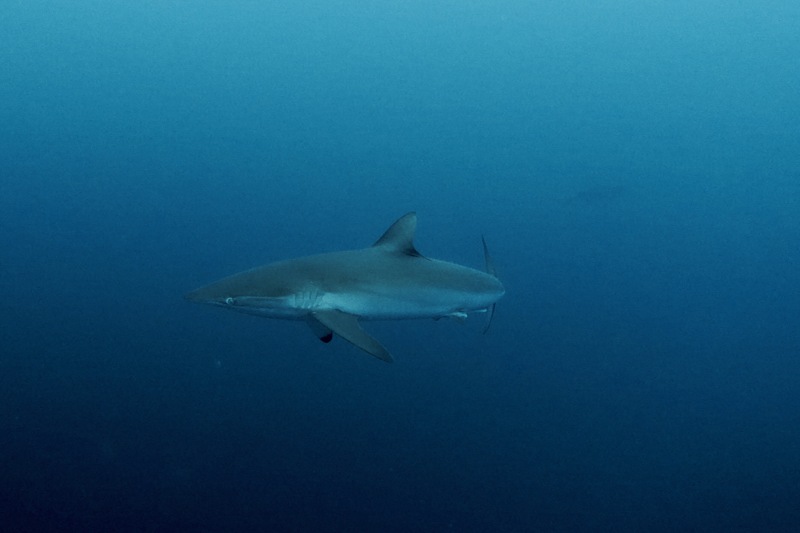 Circled by a silky shark on the safety stop. Easily the best dive we have done so far. When we came up, it was a bit wavier. But nothing we can’t handle now. Everyone was immensely happy. Annoyingly I had to take my wetsuit off during the surface interval – I was restricting how many times I had to struggle into it per day. I had taken so many photos, I needed to change the battery in my camera. And not allowed into the main part of the boat with wetsuits. Then off again. 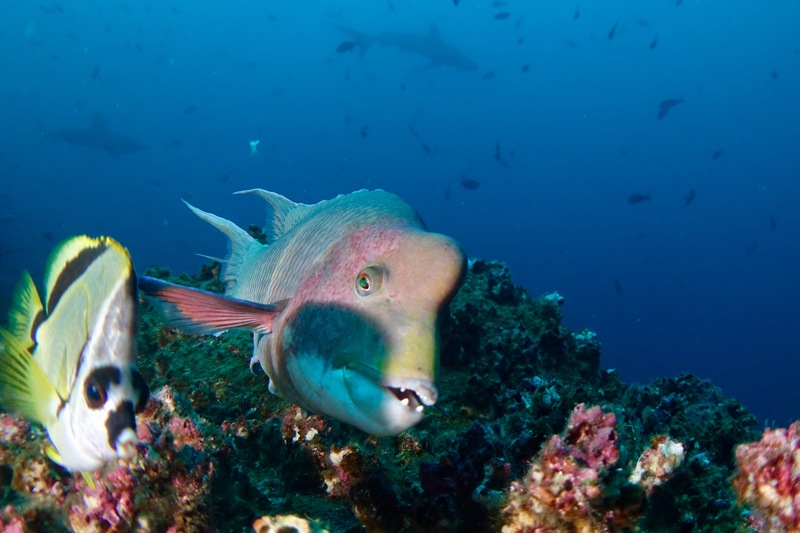 Obviously back at the same dive site for a second dive. Immense again. 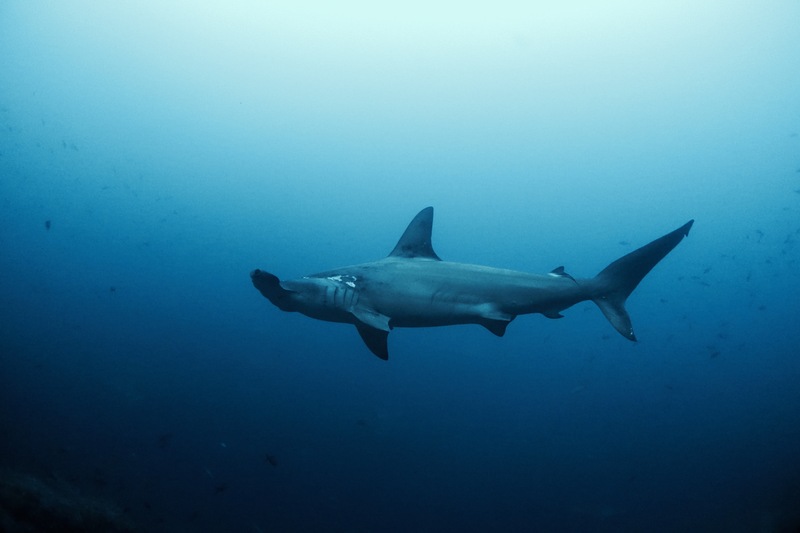 More hammerheads. 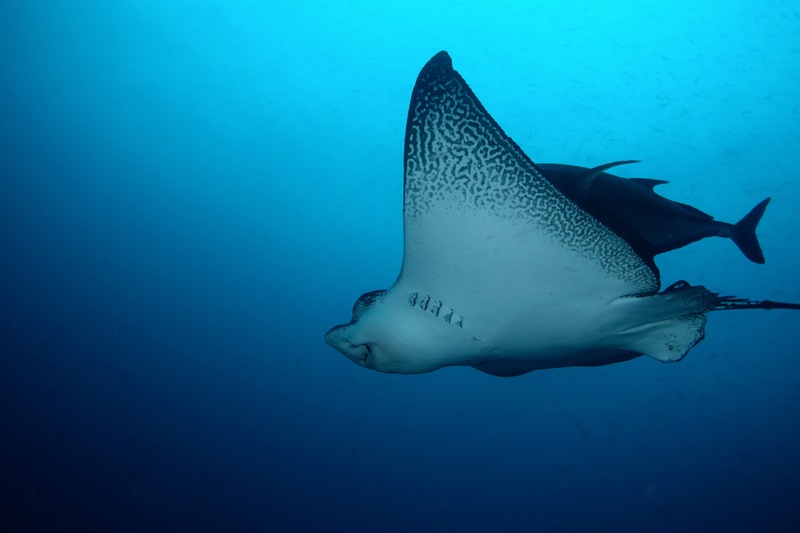 Eagle rays. 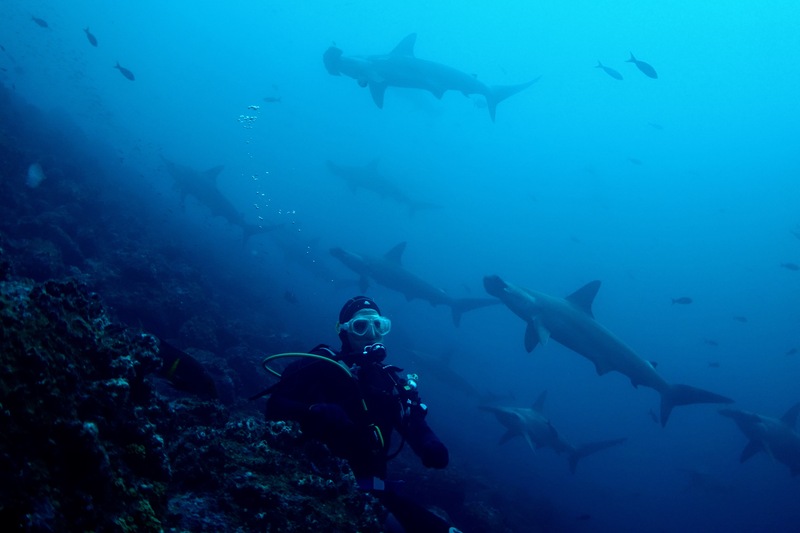 Galapagos sharks. Everywhere. No obvious wall this time, but they were everywhere, all the time. And that was it. Diving finished in the remote Darwin. Sad times. After lunch, we started the long sail back to the main islands. It was going to take around 16 hours. And were told to expect wavy seas. Time flew by. We were sharing photos, watching each other’s videos. And eating granola. And suddenly it was 7pm and dinner time. Not sure why, but they hadn’t made anything for me. So I just had a bit of lettuce and carrots. I didn’t want to eat too much anyway. Being down in our cabin at the front of the boat was extremely wavy. I went to bed about 9pm. And it was so wavy. Despite not thinking I would, I fell asleep straight away. Waking up a few times with the bumping waves. Considered moving my duvet to the lounge room on the floor above, but then must have fallen asleep again.